This set of eight short biographies by F.A. Forbes is easy and fun to read and will help you learn about some of the Church's greatest saints! Save over $15.00 when you buy the set! Mother Frances Alice Monica Forbes, also known as F.A. Forbes, was born in 1869, converted to Catholicism in 1900, and soon entered the Society of the Sacred Heart as a postulant. 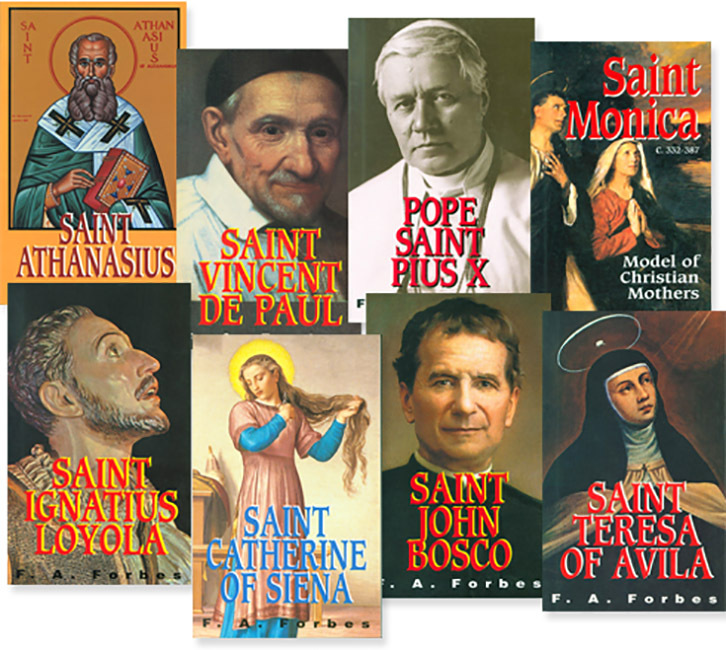 She authored a number of books based on the saints.